Evacuations of over 100,000 people near Oroville Dam remained in effect Monday, as engineers worked to repair damage to an emergency spillway that threatened to send torrents of water into nearby towns. 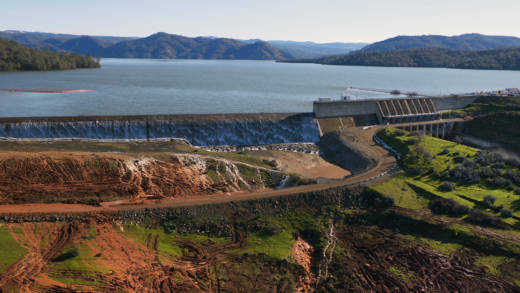 State officials say that the 770-foot dam itself is not in danger and the threat of flooding lessened Monday as Lake Oroville's water level dropped. But more storms are expected this week, prompting officials to continue to drain water from the lake. We discuss the state of the dam, the ongoing impacts on surrounding communities and the condition of the California's water infrastructure.